In previous postings we have discussed some of the traits, habits, behaviours and characteristics of people who have achieved extraordinary results. There are many overlapping traits but very few that seem to be unique to all. One of the characteristics of these folks is that they all seem to defy the wisdom that tells us we need eight hours sleep each night. I’m seeing similar results with some of my clients who, in the course of working through the various coaching programs I offer, have committed to joining the 5:30AM Club. This is the club for those willing to commit to getting up each weekday morning by no later than 5:30. A few of my clients have moved their wake up time back to as early as 4:30AM. Who in their right minds would do that? I have been asked this question, so please allow me to share with you some of the benefits my clients have reported to me that they have experienced since trading sleep for activity and results. The first, and most obvious benefit reported by all, is time. Unanimously these folks have commented how much more they are able to accomplish simply by having a newfound extra 2 – 4 hours every day to get things done. That may not be attainable or appropriate for everyone, but all my early rising clients agreed that the benefits of waking up early include having quiet time for self reflection, getting more work done without interruption, a stronger ability to stay focused for a long period of time and, for many, the greatest benefit is feeling in control of their time and being able to plan with more precision than any other time. It’s not easy giving up sleep, or organizing our lives to go to bed earlier so we can wake up earlier. Most of us have spent years training ourselves to need – in fact, depend on – a minimum number of sleep hours and our minds and bodies have come to accept, as fact, that these hours are irreplaceable needs, not simply luxurious wants. Yet those who every morning conquer the battle with that evil, sleepy person who resides in each of us and relishes the opportunity of encouraging us to roll over and go back to sleep every morning, all enthusiastically spoke of the enormous and positive benefits that waking up early has provided them. Some studies have shown that people who sleep for 5-6 hours a day are healthier and live longer lives than others who sleep 7-10 hours a day. Naturally, other studies say quite the opposite, and have shown eight hours to be a minimum requirement for a healthy and long life. What is right for one person may not be right for another. Some people in the 5:30AM Club choose to organize their lives and forgo wasted time in the evenings, so they can go to bed earlier. We all need to determine what’s best for us. It is my belief, based on nothing more scientific than a gut feeling, we could all benefit enormously with less time sleeping and more time living. 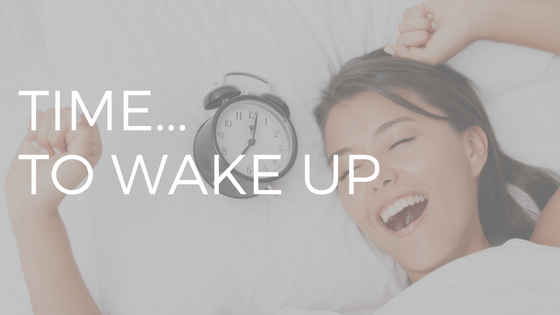 Either way, set your alarm and seize the day.